The International Federation of Home Economics was founded in 1908 to serve as a platform for international exchange within the field of Home Economics. It is an international forum for home economists to develop and express concern for individuals, families and households at the United Nations, with global networking opportunities including the West Africa sub-region. Speaking on the theme “Home Economics Literacy for a Healthy and Sustainable Lifestyle of the Ghanaian Family” the Chairperson for the occasion, Mrs. Jane Amavi Kwawu, urged women in Home Economics not to be “professional technicians” only, but also make their voices heard through meaningful contributions to society. She added that they should be willing to form partnerships and become experts in household management. She encouraged practitioners to lobby for inclusiveness, be available and accessible to work with governments and Non-Governmental Organizations when the opportunity becomes available. In his welcome address, the Pro-Vice-Chancellor of UEW, Rev. Fr. Professor Anthony Afful-Broni, speaking on behalf of the Vice-Chancellor, underscored the relevance of marking the day globally. He remarked that “the university was proud to host such an important event and to join the world in celebrating the day”. He said that the celebration was a clarion call to join the march for a healthy lifestyle. 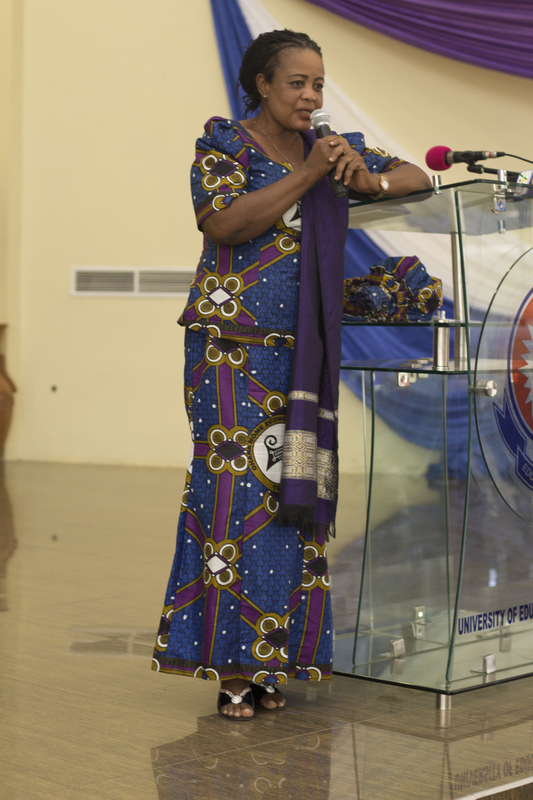 The guest speaker, Mrs. Esther Asamoah, said the content of Home Economics draws from multi-disciplinary fields: food, nutrition and health, textiles and clothing, household management, consumerism and consumer science amongst others, but its study is dependent on the context in which an individual finds him or herself. She observed that the Home Economics institution was receiving renewed attention globally. To this end, there was the need for Ghanaians to make sure that everyone partakes of this renewed attention because of its potential for transforming society. On his part, the special guest of honour, Prof. George Kankam, emphasized the relevance of the theme, as it acknowledged the role of Home Economics in the family and other areas of society. He indicated that, it was important to have a healthy environment to enjoy a healthy lifestyle and make healthy choices. He, thus, called on the members of the association and all concerned to advocate for health curricula as part of ensuring a healthy lifestyle. There were solidarity messages from the Headmaster of Apam Senior High School, Nana E. C. Acquah, Dean of the Faculty of Science Education, Prof. Samuel Asiedu-Addo, and the President of Home Economics Students Association, UEW, Dr. Adelina Arkhurst. 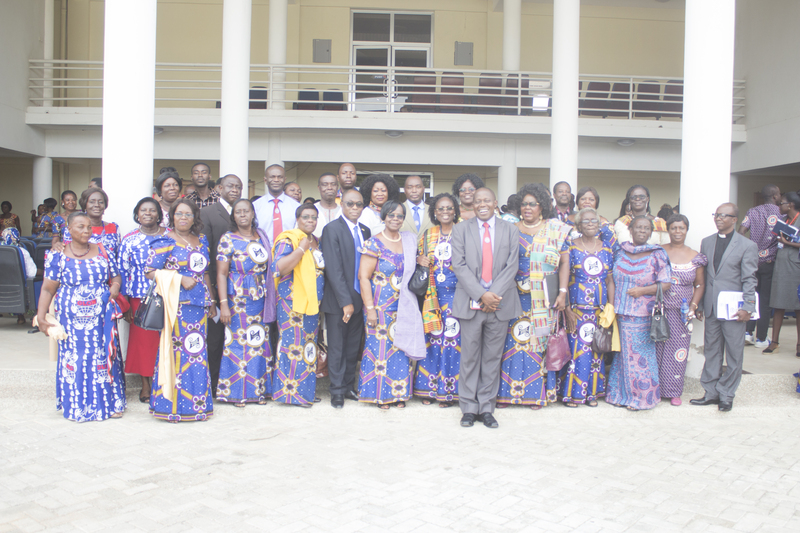 Present at the event were Principal Officers,staff and students of UEW, past and present executives of Ghana Home Economics Association, representatives from University of Cape Coast, Community Health Training School, Winneba, selected Senior High Schools in Central Region, the Municipal Director of Education, Effutu, and some organisations in and outside Central Region.